Welcome to Lotto247! the next platform in our online lottery review series. As you might know, if you are buying lottery tickets, Lotto 247 will provide a very good experience for all users. 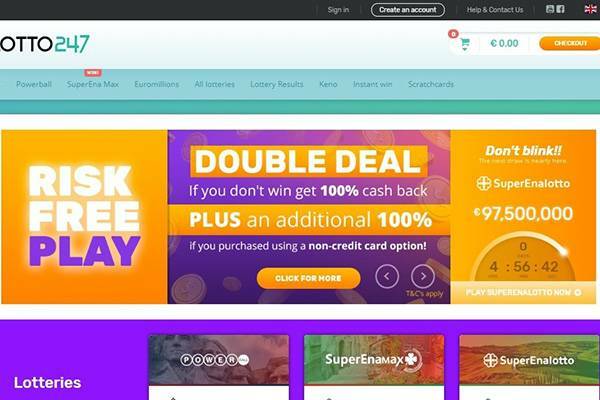 Lotto247 allows you to buy online lottery tickets from any device connected to the internet in a few and easy steps. Just open your account, pick your favourite lottery (or the major jackpot) and you are in! The company is fully licensed for its activities by the Curacao Government and all the transactions are safe. Read all the aspects and features in our complete review and enjoy! Check out the security measures of the platform for transactions and gaming. Available lotteries, side games and functions. How the site is developed and what is offered in name of user experience. Platforms and devices that are supported by the brand and its quality. Available promotions for new and existing customers. Customer support sevices quality and time of response. Lotto247.com site is HTTPS secure and use SSL 126 bit encryption for all its data and monetary transactions. Furthermore, the site also provides special security for mobile devices provided by SRC, protecting all your data from eventual risks. Regarding operative security for users, you must take into account that Lotto 247 is licensed by the Curacao Interactive Licensing provided by the Central Government of Curacao. By this way all the platform activities are regulated creating a fair and secure environment for all players involved. Lotto247 is a completed platform offering the major lotteries from USA and Europe. First of all, you will find the major prizes available at US PowerBall, SuperEna Max, Euro Millions, Megamillions, SuperenaLotto, Mega Sena and UK Lottery. Also, Lotto 247 is offering: EuroJackpot, El Gordo, Lotto 6aus49, France Lotto, La Primitiva, Oz Lotto and Oz PowerBall. In addition, is offering also scratch cards, quick games and Keno. So in the time, you have between buying your lottery ticket and waiting for the raffle results, you will be able to enjoy another kind of instant games. The main scratch cards you will find are Halloween Scratch, $100,000 scratch and Full Bloom with jackpots up to $250,000 you can win instantly. Instant win games include bingo and online slots with a small variety but still attractive. 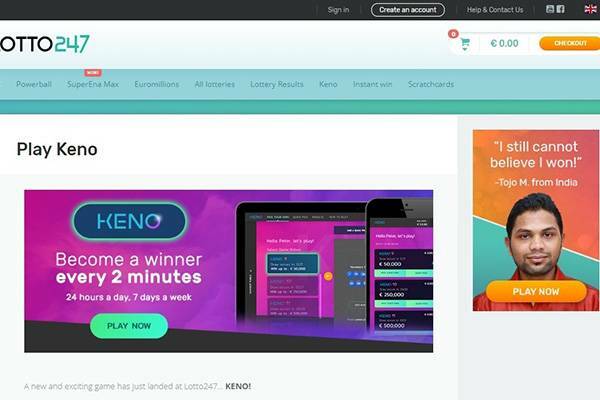 Finally, lately, Lotto247.com added Keno to its offer, so check it out and let us know what do you think about it. We must say that we didn’t find important lotto features as syndicates at Lotto247 site. Seems like they are providing only individual gaming modes. You will be able to pick up your numbers as with any regular lottery ticket or to use the Quick Pick feature, where you will get randomly auto-generated numbers for your ticket. The site is multilingual and you will be able to use your mother tongue almost for sure: English, Russian, Polish, Swedish, Brazilian Portuguese, Portuguese, German, Czechs, Romanian, Spanish, French, Hungarian, Finnish and Norwegian are fully supported. Lotto247’s development team had made a great job on the platform, doing all the improvements you need in real time. All the sites features are available whatever is the device you are currently using. First of all, the desktop site has a nice but simple design, being very easy to navigate and play. Furthermore, mobile devices own their proper website (you will be redirected automatically) with all the games and functions available. Finally, tablets are treated as smart phones, so will not get a special dedicated site for it. Anyway, we need to understand that the view is still good enough and all the functionalities works. The desktop site is well developed and excellent user experience is guaranteed. You will not find a dedicated view for tablets, rather, you will be served with the mobile site. You will get an exclusive mobile site, serve with user-agent detection redirect. This means you will land at the mobile site automatically. All functionalities and gaming options are available both for Android and iPhone. Lotto 247 main offer is offering you a great chance to take your first shot at America’s biggest lottery: US Powerball after completing your first purchase. All you need to do is buy your entries and we will do the rest. Your free lottery voucher will be added automatically within 48 hours of your first purchase. Customer Service’s quality and availability is one of the most important things for every brand. On the customer department behaviour depends much time if you will come back to the site to buy another ticker or not. Available on working hours, the live chat is an instant channel to use widely. Lotto 247 didn’t any telephone numbers to contact the customer support team. Definitely, something they need to improve. You can use the email (hello@lotto247.com) or the Facebook account (@Lotto247). Two good channels, while the FB can be more quickly and efficiently. Contact Us page is another channel you can use, mainly when the live chat is not working. You will be able to use the Call Me Back feature to get a phone call from the customer department. Lotto247.com is a good platform if you decided to buy online lottery tickets. Both from desktop and mobile devices you will be satisfied with the quick and easy interface. Payment options include the most popular and secure ones, like Visa, MasterCard, Neteller, Skrill, PaysafeCard, bank transfers and Entropay. 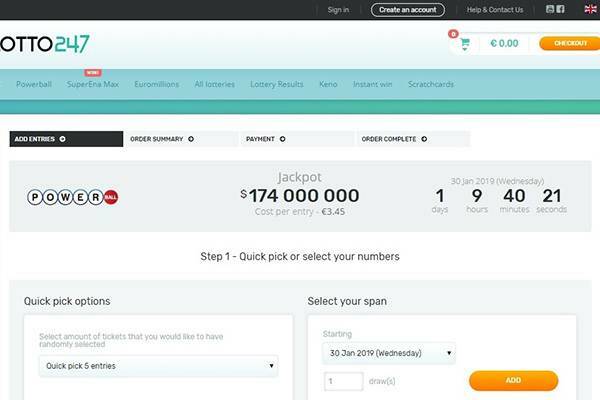 As a result, Lotto247.com is a platform you can use in many languages without any doubt and we give them a nice 3/5 rating from us. Mainly, the lack of promotions is the reason why they didn’t get a better score. 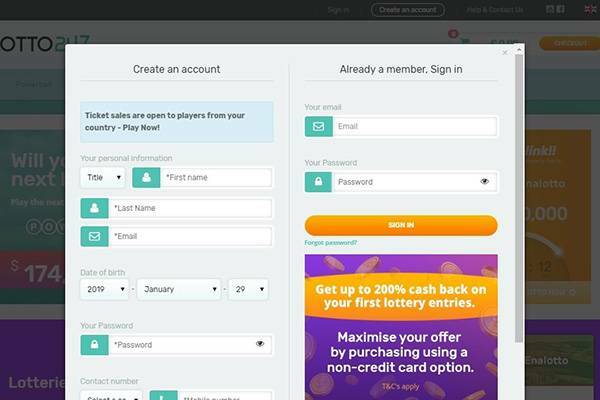 You already decided you want to buy online a lottery raffle from the major providers. Now, is the time to ask yourself, is the platform trusty? Is a legit player or is a scam? Lottery247 efforts in the data transference encryption, and especially, their gaming license from the Curacao gaming authorities provided the answer: this is a legit player in the lotto industry. Relax and enjoy Lottery 247!